Jas du Pébrier is born out of our passion to share the hospitality and way of life in Provence. Located in Roquebrune sur Argens, in the Var, not far away from the Mediterranean beaches and the Gulf of St Tropez, come and experience a charmful and trendy stay. Discover our holiday homes with Spa or private pool, surrounded by their Mediterranean gardens to enjoy pleasant moments and create unforgettable memories with your family and friends. At the heart of the estate is a beautiful Provencal Bastide. 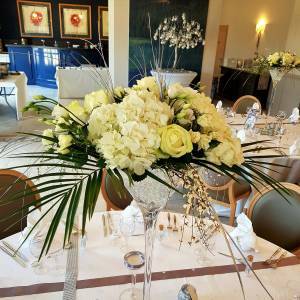 An exceptional site, the perfect place to organise your next events, family celebrations, weddings, christenings or professional events such as seminars and receptions. The change of scenery is absolute in this setting that combines Provencal elegance and contemporary comfort. Let yourself be seduced by the unique charm of our beautiful Provence and enjoy a getaway in the heart of a rare and preserved nature. 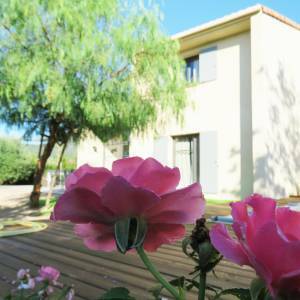 The centre of the estate boasts a lovely Provençal cottage. 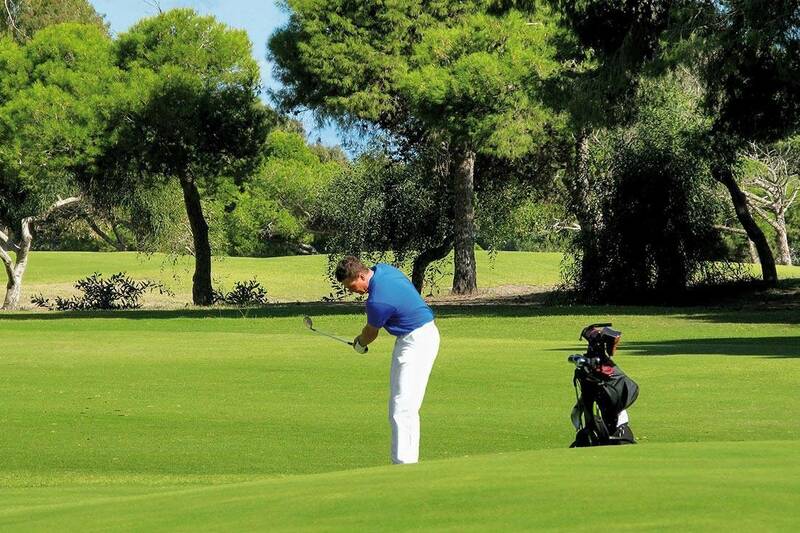 An exceptional place and the ideal site to organise your family reunions, weddings, christenings, as well as business events like seminars and receptions. 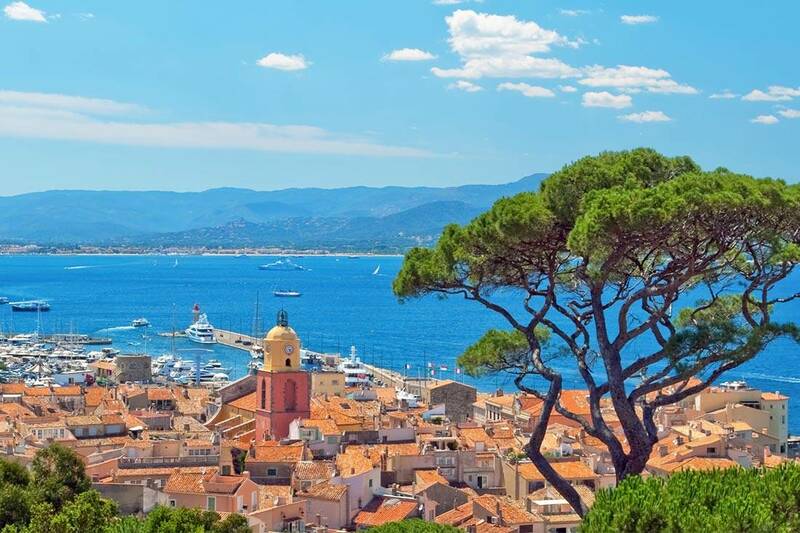 "We imagined this place with quality services, in a family house, so that you feel at home ..."
Saint-Tropez, set at the edge of its own bay, evokes luxury and film stars, even though it hides an authentic centre behind all the glitz; a humble fishing village attracting painters who are looking to catch the incidence of light of the French Riviera. 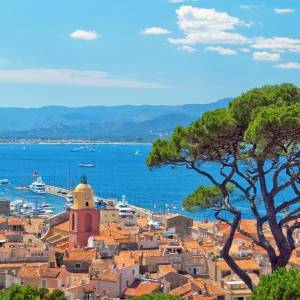 This legendary town is like a pilot light at the edge of the bay, scattered by ravishing beach resorts like Grimaud, Port-Grimaud, Cogolin and Sainte-Maxime. 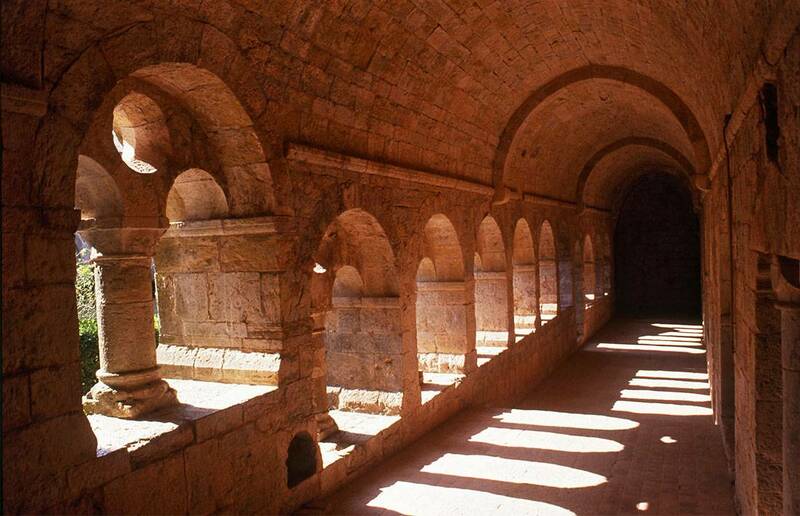 The elegant lines of the Abbey of Thoronet make it a masterpiece of Norman art in the Provence. 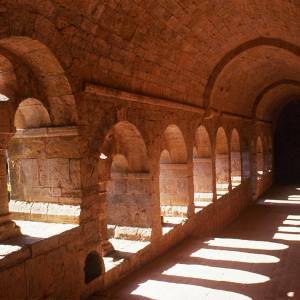 This Cistercian abbey was built by the end of the 12th century at the heart of a garrigue land with green oaks and olive groves. You can explore the surrounding nature during a guided visit. The extraordinary acoustics of the abbey will delight you during concerts and Gregorian choirs. 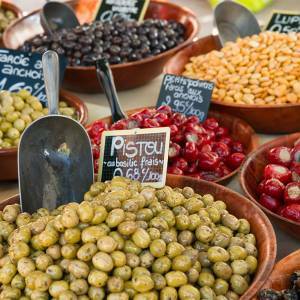 There’s no other place that breathes such a typical Provençal atmosphere as the local markets. While the colourful stalls are covered with fruit and vegetables from the area, fish, olives and wine from the Var, the villages of the coast and the countryside slowly come to life. On these markets, you can taste a great number of products from the region. 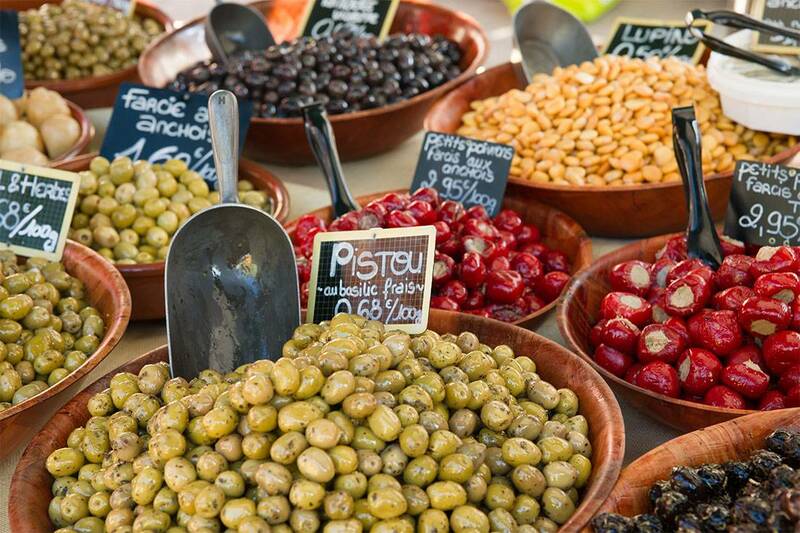 A few of these daily markets: the famous market of Roquebrune-sur-Argens on Monday, the markets of Fréjus and Saint-Tropez on Tuesday and the market of Fayence on Saturday. You can hire our Provencal manor for a typical french wedding. Many other possibilities for the weekend. Contact us on contact@jas-du-pebrier.com for availabilities. You will stay in a chic and natural decorated home, with a private spa or pool in the garden. 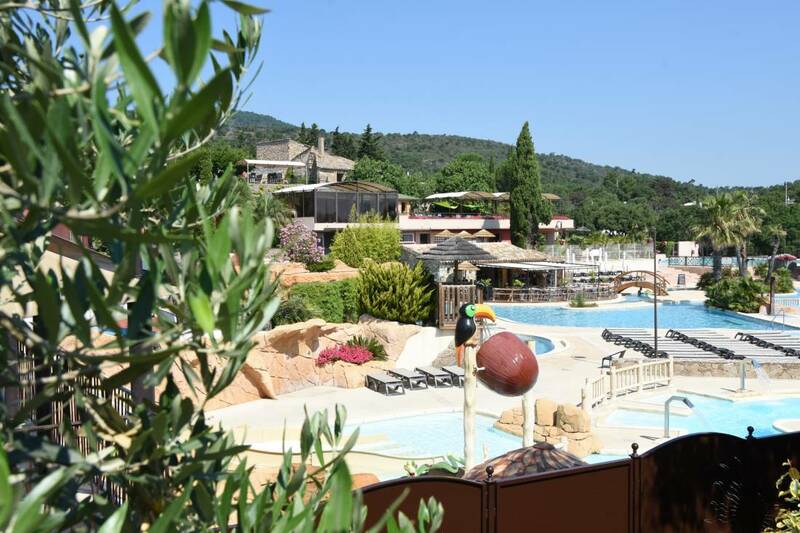 Hotel services included such as bedlinen and free access to the facilities and water parc of the 5 stars Domaine de la Bergerie. 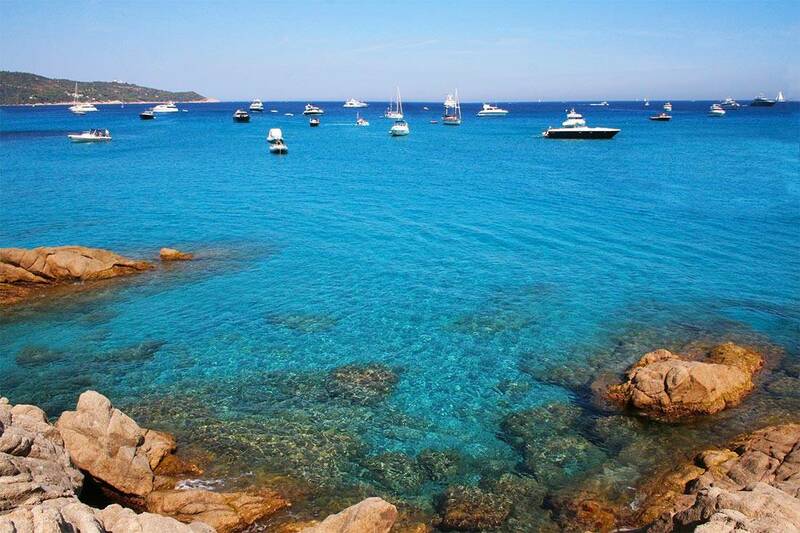 From 580¤ for 6 persons in a Jardin Provençaux holiday home. Arrivals from noon and departures before 6pm. 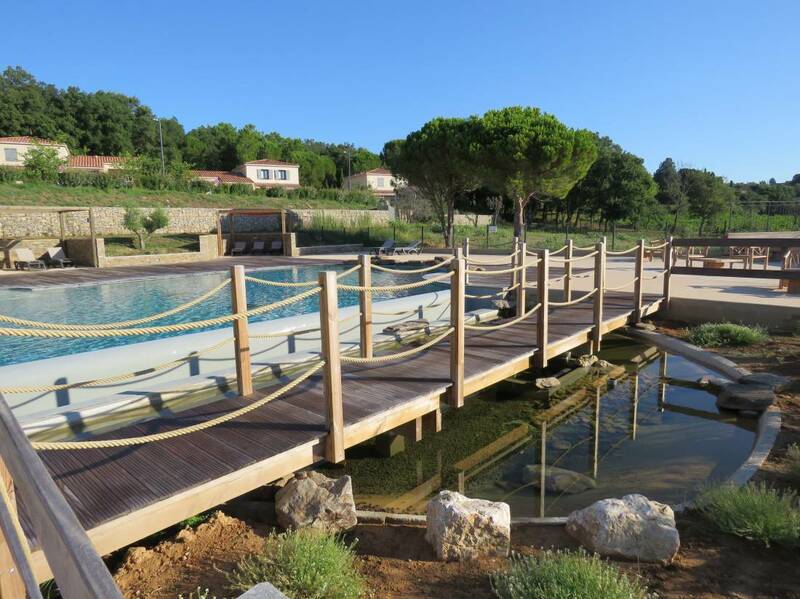 Come and relax in the middle of nature in the pool of Jas du Pebrier. A magical place with its intimate spaces and Jacuzzi. Spending your holiday on le Jas du Pébrier will also give you free access on the 5 star campsite Domaine de la Bergerie. You can enjoy the leisure water park of 1400m², a wellness area with indoor pool and fitness room, a great number of sports activities and entertainment and not to forget the kids’ club. The restaurant is located in an authentic Provençal sheep pen, at the center of the campsite. On the terrace of the restaurant, you can enjoy a drink but also the breathtaking view on the Esterel massif and the bay of Saint-Raphaël. Practice your swing overlooking the bay of Saint-Raphaël. 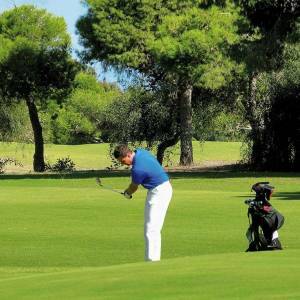 Play the 18 holes with a 15% discount for all holidaymakers of the Jas du Pébrier.